Before North spearhead Ben Brown can embark on another standout season, he’ll require minor hip surgery. 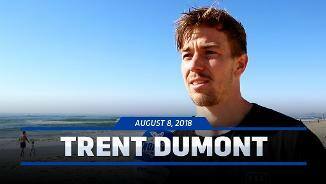 Trent Dumont is the first to admit that there’s no secret formula behind his success in 2018. Injury slightly curtailed Dumont's influence at the NAB AFL Under-18 Championships for South Australia in 2013, but he finished the season strongly for Norwood at senior level and played in its premiership. He overcame the niggling ankle complaint to perform well for the Redlegs in a number of positions, including across half-back, half-forward and through the middle. In his 12 games at senior level, Dumont averaged 17 disposals and four clearances an outing. Trent Dumont continues to get better and better in each season, wit his best year to date. 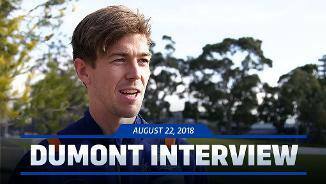 Playing predominantly on the wing, Dumont averaged 21.1 disposals across all 22 games, with his final month of footy setting a good foundation for the 2019 preseason. 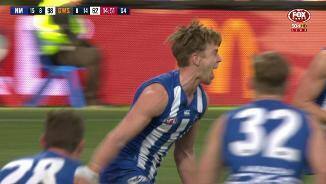 The 23-year-old recorded a career-high 38 disposals in Round 23 against St Kilda, which came after a 33 disposal match against Adelaide the week before. Dumont acted as a defensive winger for much of the season, dropping back to help the backmen defend and move the ball out of the defence. 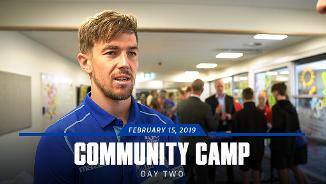 He was rewarded for his impressive season, inking a two-year contract extension seeing him remain at North Melbourne until at least the end of 2021. Trent Dumont’s fourth season with the club was undoubtedly his best to date. 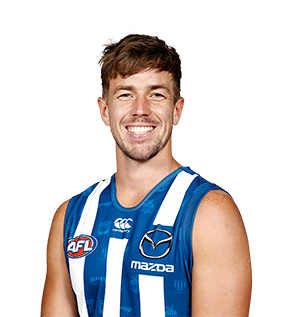 Involved in all but three games for the year, Dumont set new career highs across the board, averaging 20.6 disposals and 3.6 clearances in the North midfield. A consistent performer in 2017, Dumont collected 25+ disposals on six occasions, with four of these occasions coming in the last six games. 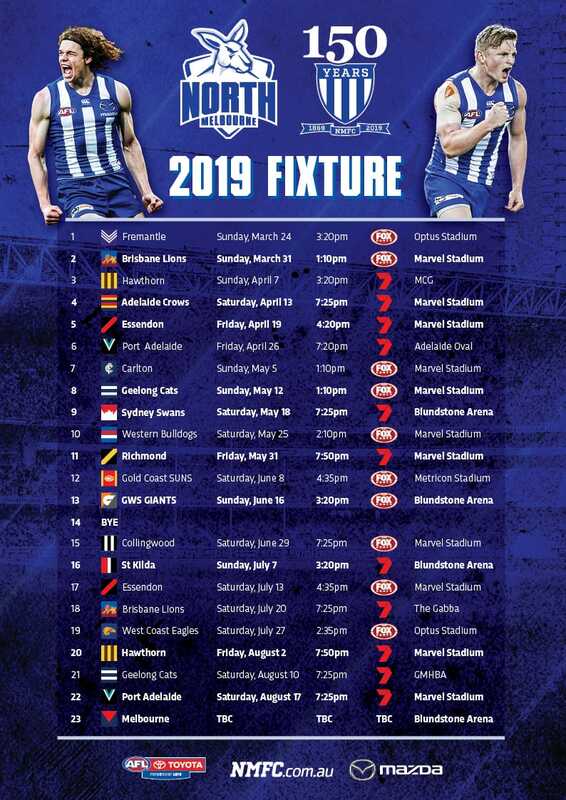 Dumont’s two-goal, 18 possession performance was a key component of North’s famous win over league-leaders and eventual Grand Finalist’s, Adelaide, in round seven. “The best thing about Froggy is he knows the game really well, so wherever he plays and wherever he comes in position-wise, he knows exactly what’s going on. “He’s really good to work with, and you just know he’s going to get the job done. He’s built that trust with the coaches and players. “For him now it’s about building on his game to take it to the next level, because he’s played enough footy in the last couple of years. “He’s definitely shown this year he can play at the level and he should take a lot of confidence from that. "He was made to earn his spot in the 22-man squad. He had some things to work on with the development boys but when the opportunity came, he really grabbed it. "He's been hard and clean which are the two most important things for an inside midfielder and he showed he can do that. 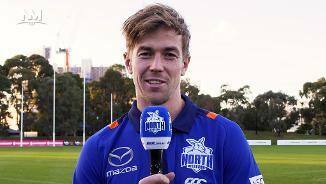 "He's starting to learn the lifestyle of an AFL player now that he's played a few games and understands all he needs to do." “Probably what hurt him was how he was sub for a few weeks in a row, so he lost a bit of fitness because of that. “Then he had to build that back up before he started playing some good football again in the VFL. “He definitely showed at AFL level that he can play and Trent knows that. 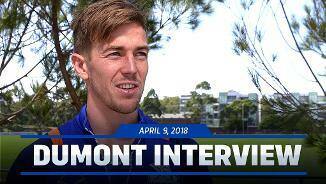 Dumont was North Melbourne’s second selection in the 2013 National Draft, and he settled into life at Arden Street quickly. Spending the season aligned with North Ballarat in the VFL, the midfielder regularly had games of 25+ disposals, proving a vital part of the Roosters’ outfit. As the season went on, Dumont began to work on his outside game, complementing his natural talent on the inside. He undertook a heavy training block in the middle of the year and came through it with flying colours. Towards the end of the year, North’s number 14 spent more time forward as well. A strong overhead and contested mark for his size, Dumont regularly worked his way onto the score sheet. With a full pre-season ahead of him, a strong summer on the track should have Dumont right in the running for a senior debut early in 2015.